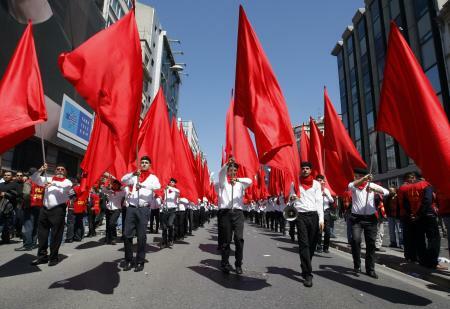 Turkish People’s Front (Halk Cephesi) has gone a long way since it’s inception in the early 2000s until now. It’s proposal is to start building socialist solutions to the existing problems created by capitalist contradictions and imperialist enslavement. To achieve that it is empowering people by constructing popular power and creating fronts to fight imperialism in every aspect of the life. It’s goals are independence, popular democracy and freedom. Brochure from 2003. presnts early achievements and initiatives. Over a decade later, one can see clear evolution and expansion of the struggle in additional fields.